Individuals and businesses alike often have printing needs that send them scrabbling to find the very best online printing service they can locate. Often time is as much a consideration as quality is, but one rarely wants to sacrifice one for the other. 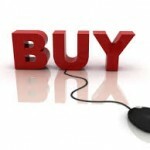 The next consideration is pricing, but with large print orders, even a few pennies savings per item can add up quickly. The following ten online printing services are mostly well known and all offer the convenience of getting printed materials from the comfort of your home or office. You’ll find all sorts of products including gifts, marketing materials and personalized office supplies. The sites listed are in order of their Alexa traffic count rating, but the main thing is finding the one that does the type of printing you are looking for and can get the product to you timely and reasonably priced. With FedEx you can print a variety of items including documents, flyers, posters, presentations, postcards, banners, invitations, manuals in binders, brochures, photo posters, display stands, signs, resumes, magnets and much more. You upload files from your hard drive, the cloud (Box, Dropbox or Google Drive) or My Online Documents. The website has plenty of tools to walk you through the process including a FAQ section and tutorial videos. The website is very easy to use with icons for each type of print job to click on to proceed. Once you make your choice, you are guided to the options page which might include choices like gloss or satin for photos. Many of the options have templates available. A nice feature of their site is the Personal Projects area which gives great ideas for home projects and personal events. They even have a mobile app so you can start your print order from anywhere! The FedEx Office mobile app allows you to print your documents to any FedEx Office location or have it delivered. 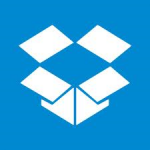 Upload a file for printing from My Online Documents, powered by FedEx Office, from other cloud repositories, such as Box, Dropbox, or Google Drive, or from your email. 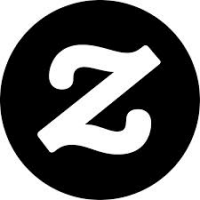 Zazzle is a very good source for a complete line of printed materials including gifts, cards & postage, clothing & t-shirts, accessories, office products, electronics cases, art & posters, home & pets, celebration and wedding supplies and more. You can use artwork from artists or even create your own designs. Import an instagram or even get world famous brands that are customizable for you. You really have to shop the website to believe the wide range of products available. Zazzle is dazzling! Not only do they have a lot to offer, but their website is super easy to navigate and use. One of the more unique offerings is the ability to have custom postage printed – what a great way to send off something special like wedding invitations, a baby shower invitation or graduation announcements. Some other cute ideas are custom wrapping paper, personalized flip flops, canvas prints from your photo and specialty cell phone cases. Be prepared to spend some serious time on this website – it will keep you enthralled for hours! Unless you have a DVR and never watch live television, you have probably seen a Vistaprint television advertisement. Although they started from humble beginnings, they are now a huge company with 3 state-of-the-art manufacturing facilities and 13 offices. They have over 25 localized websites serving all over the world. It is that size that allows them to offer very affordable pricing on printing. 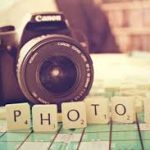 They offer tons of products including business cards, stationery, photo gifts, marketing materials, clothing & accessories, calendars, invitations & announcements, magnets, labels & stickers, stamps & ink, phone cases, promotional items, signs & banners and various business services. If you plan to order from them, watch for one of their TV or radio ads because they often include a promo code you can use on the website. You can also check out the Specials tab for any running specials they are running. Vistaprint is often found on the top of the list in reviews – especially for their business cards and posters. Make it special and designed by you, or use a template to get started – the options are endless! 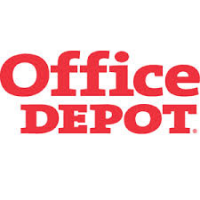 You’ve trusted Office Depot for years for office supplies, equipment and furniture – now they have added online printing services to their menu of services. Copy & Print Depot™ delivers everything from business cards to banners, presentations to promotional products. Order custom printing online or in-store. Same Day printing and pickup options are available on many items. They offer over 3,000 template designs for premium full color business cards, or you can upload your own design. The designs they offer are easily chosen due to being organized by style and industry or profession. Some of the products you can get from them include promotional products such as pens, jump drives, shirts, hats, mugs and totes, business essentials such as cards, stationery, envelopes and checks and document printing such as brochures, forms, booklets and presentations. They offer free delivery on orders over $50. GotPrint is involved mostly in promotional and marketing materials. They offer design services as well as do-it-yourself capabilities. Some of the print services they offer are business cards, booklets, bookmarks, brochures, calendars, catalogues, CD packages, door hangers, posters, postcards, presentation folders, tent cards, banners, window clings, yard signs, stickers and flyers. They also offer mailing services and marketing services. It is easy to jump right to pricing on the website to know right away what something will cost right down to the shipping fees. This is a very nice feature that can save you a lot of time. The site also has numerous templates for all the products and they are available in a number of formats – Illustrator, Photoshop, InDesign and .JPG. The website also gives the standard printing turnaround times and rush orders printing time for each type of job. A nice feature of the website is the ability to view samples or even have a free sample kit mailed to you. They have a customer satisfaction guarantee. UPrinting gets high ranks for many of their printing services but are especially recognized for their stickers and brochures. They have various types of stickers including multi-purpose, promotional & event, vinyl and campaign & political stickers all available in both cut-to-size and roll types. They also print bumper stickers. They are not limited just to stickers, however. They have 100+ print products from which to choose. A nice feature of this company is that you get your PDF files proofed and checked for errors as a free part of the service. They also have a custom product builder, so if you don’t find exactly what you want you can configure it yourself using any size, any folding or any paper stock. They even offer direct mail so they’ll print, label, affix postage and send it on its way saving you both time and money. They offer a ton of free print templates and you can choose among these file formats: .jpeg, .psd, .innd, .pdf, .tiff, .cdr, .ai, and .pub. They have been accredited with the BBB since February, 2011 and have an A+ rating. They began business in 2006 and have a print quality assurance guarantee which provides for a 100% refund or reprint on defective print orders, 100% free expedited reprint on orders lost in transit and 20% refund for every business day your order is printed late. As you’ve probably noticed by now, most companies have something that they do that sets themselves apart from the others and this site is no different in that regard. What they do different is offer you a free proof of your order even before giving them your credit card information. They are also chosen for their incredibly fast service. If you order next day turnaround service, that is exactly what you will get – submit your print ready files by 6 pm PST and your order will be ready to ship or pickup on the next business day. If you live in Saddle Brook, NJ or Los Angeles, CA, you can pick up your order at their location. By having a location on both the east and west coast, they can get your orders shipped to you faster and at a lower cost. The site is easy to use with all the offered products listed down the left hand side of the page and any specials they are running located in the middle of the page. They also offer custom products and mailing services by either direct mail or EDDM. UPS may be the latecomer to online printing, but they are doing a pretty decent job of it. Right now they are offering 500 business cards for an unbelievably low price – just $5! And in case you’re wondering if that means they are printed on tissue paper, they are printed on 14 pt, white, high gloss premium paper in full color. They are single-sided and shipping cost is not included. It is further limited to one per household, so this is a one-time shot, obviously intended to get you familiar with their quality. It is a limited time offer, so it may not be available by the time you read this and head over there, but go ahead and look for it and perhaps any new offers they may have. They offer a number of printing services including flyers, letterhead, newsletters, presentations, catalogs, envelopes, indoor magnets, manuals, postcards and reports. You can design your job using their templates or upload using their document builder. The downside of UPS is that often you have to pick up your order at a local UPS store, but since there are plenty of those it usually isn’t a problem. You will love their guarantee – it’s right, it’s on time or it’s free! They have a number of really unique products to consider. One that is really eye-catching is their specialty business cards. You can have cards custom die cut which allows for any shape you desire. Imagine a dog groomer with a dog bone shaped card or a towing company with a truck shaped card, for example. They also have custom options such as plastic cards, pantone or metallic incs, folded or double cards, foil stamping and magnetic cards. There is a video on the website that goes over some of the effects offered. They use FedEx to ship your order right to your door. They also offer green printing options such as FSC paper and soy ink. They have a full menu of products to choose from including announcements, banners, bookmarks, brochures, calendars, carbonless forms, catalogs, large envelopes, flyers, door hangers, signs, stationery, yard signs, notepads, note cards, mailers, invitations, labels, greeting cards and much more. The website is easy to navigate and ordering is straight forward and easy to manage. Among other services, PrintPlace is highly rated for their postcards. They do end up down the list for a couple of reasons, however. One is that they are not the quickest online printing service out there. Past customers have noted that it took them ten business days to get an order. Obviously, you can put in for a rush order if that is important to you. They offer a free sample pack which is a great way to get to know them before placing an order. The samples are free and so is the shipping. The sample pack includes both offset and digitally printed products. The website doesn’t operate like most which makes it a bit confusing at first. You have to actually place items in your shopping cart and put all your information in before you can get to a point to upload files or view artwork. It just seems backwards this way, but something you could get used to if all else works well for you. They offer a price match guarantee, a quality guarantee, an on time guarantee and customer service guarantee. There really are a large number of exceptional online printing service companies out there, so it wasn’t easy to compile a list of just ten. Two others came very close to being on the list, so we’ll give them honourable mention. One is www.4over4.com which has a fantastic website and some unique items such as drink coasters and dry erase vinyl products. The second one is www.mimeo.com which offers a number of products and has some nice features on their site including a video tour of their print facility. With these 12 websites you are sure to find the right product, right turnaround and right price for your next printing project.